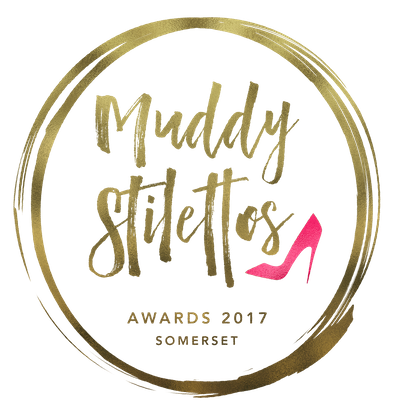 The Wellbeing Studio – Embody Pilates’ home in Clevedon – is in the Final Five of the Best Yoga/Pilates Studio category of the Muddy Stilettos Awards 2017 – Somerset. Thank you very much to those who responded to our recent call to arms and nominated us. If you’d like to support us further and vote for The Wellbeing Studio to win the Best Yoga/Pilates Studio in Somerset award, please follow this link. Voting starts from zero so the nominations from the first round are not carried forward. It is now a five-way contest between the finalists. Voting is live on the Awards site so you can see who is in the lead. Voting ends at midday on Friday 16 June. The winners will be formally announced on the blog as soon as the votes have all been verified. PS. Those stiletto hiking sandals in the image at the start of this news item are for real! This entry was posted in Uncategorized and tagged Best Yoga Pilates studio, Hiking stilettos, Muddy Stilettos Awards, Somerset by Embody Pilates. Bookmark the permalink.